Nine people have died from an outbreak of the Ebola virus in the Democratic Republic of Congo, only weeks after the virulent disease was declared “under control” in neighboring Uganda, the World Health Organization (WHO) reported. The new cases of the Ebola virus were detected near the country’s northwestern town of Isiro, the Congolese health minister said. A group of specialists from various international organizations – the WHO, Doctors Without Borders and the Centers for Disease Control and Prevention – are working in the country alongside local doctors. 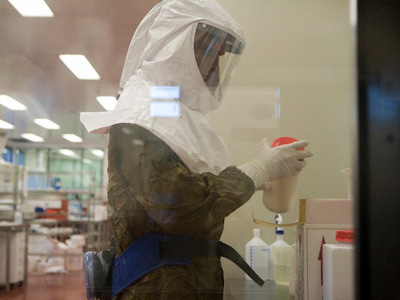 They are conducting a detailed epidemiological investigation, and are attempting to quarantine people who may have been in contact with those infected. The new outbreak comes just weeks after another Ebola epidemic in neighboring Uganda – roughly 30 miles from its border with DR Congo – was declared to be over. 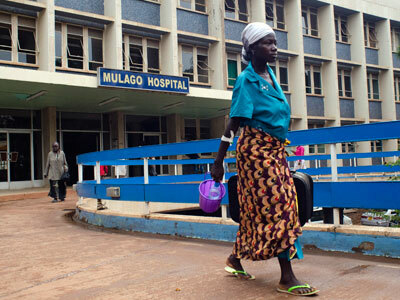 The Ugandan outbreak killed 16 people in July. 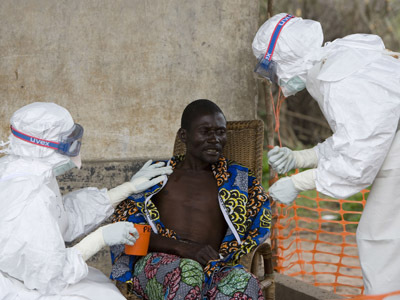 The two epidemics are not believed to be linked, since the strain found in DR Congo is different from the one identified in Uganda, Doctors Without Borders reported. Ebola is a rare hemorrhagic virus, first discovered in 1976 in Zaire (now known as DR Congo). The disease was named after a small river in the country. Symptoms of Ebola infection include a sudden onset of fever, weakness, headaches, vomiting and kidney failure. 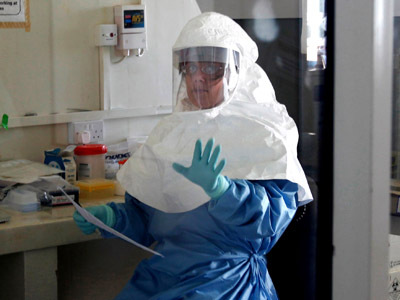 The virus is reportedly fatal in 50-90 percent of cases. In the most severe infections, victims bleed from bodily orifices before dying. There is no treatment and no vaccine for Ebola, which is transmitted by close personal contact. It can also be transmitted to humans through the handling of infected animal carcasses, including monkeys and birds. Congo's last major Ebola epidemic in 1995 killed 245 people. Recent Ebola outbreaks were recorded in Uganda, when 37 people were killed in the western part of the country in 2007, and when at least 170 died in the nation’s northern region in 2000.